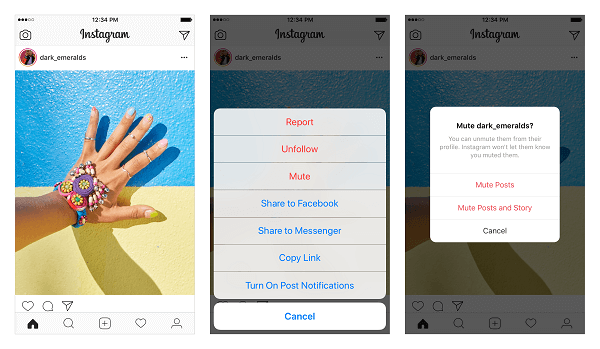 On this week’s Social Media Marketing Talk Show, we explore Facebook testing a search engine for influencer marketing, Instagram’s new Mute option, and other breaking social media marketing news of the week! If you’re new to the show, click on the green “Watch replay” button below and sign in or register to watch our latest episode from Friday, May 25, 2018. You can also listen to the show as an audio podcast, found on iTunes/Apple Podcast, Android, Google Play, Stitcher, and RSS. YouTube Tests Algorithmic Subscription Feed: YouTube confirms it’s replacing the reverse chronological order in which videos are served in the Subscriptions feed with an algorithm that “personalizes” the feed. This update is being tested with “some users” and appears to use a viewer’s watch history and other factors to recommend videos that the company thinks they’ll want to watch. This is similar to the way Facebook, Instagram, and Twitter show posts and updates. Twitter Introduces the Twitter Timeline Ads Pilot Program for Publishers: Twitter launched a pilot ad program called Twitter Timeline Ads. This new program allows publishers to generate revenue for their site with ads shown in embedded timelines. According to an email sent to publishers and shared by Matt Navarra, Twitter states it has “hand selected a small group of publishers” in the U.S. for this invite-only program. Other publishers can sign up on the Twitter Business site to find out more about the program. Twitter Shuts Down TV Apps: This week, Twitter announced that its TV apps, Twitter for Roku, Twitter for Android TV, and Twitter for Xbox, will no longer be available. A spokesperson for Twitter cites “…compliance with the General Data Protection Regulation,” which also goes into effect this week as its reason for shuttering the three apps. Twitter Updates Mobile Web, Lite, and Windows Versions: Twitter’s mobile web version, Twitter Lite, and Twitter for Windows now support night mode; real-time updates on replies, likes, and retweets; and a newer tweet compose window. 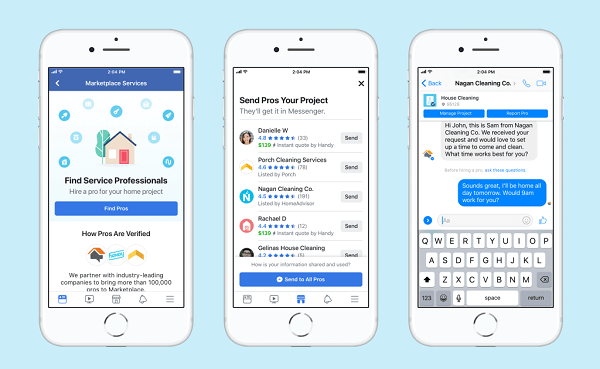 Facebook Marketplace Expands to Include Home Services in the U.S.: Facebook Marketplace listings will now include thousands of “top-rated and vetted” local home service professionals such as house cleaners, plumbers, contractors, and more. This new tool is powered by data from third-party partners Handy, HomeAdvisor, and Porch, and gives users access to the professionals’ ratings, reviews, credentials, and location. It also enables users to receive instant quotes on jobs. 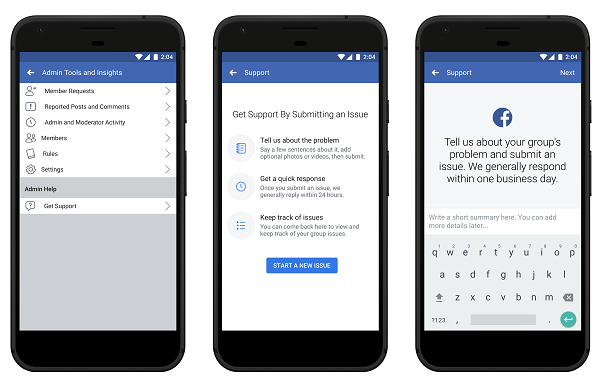 Facebook is rolling out this new feature to all Facebook app users in the U.S. over the next few weeks. Yelp Rolls Out Collections: Yelp rolled out Collections, which delivers “fresh, up-to-date content that helps connect you with great local businesses.” With this new feature, new businesses and top recommendations from across the Yelp community will be served as personalized recommendations based on an individual’s activity on Yelp. 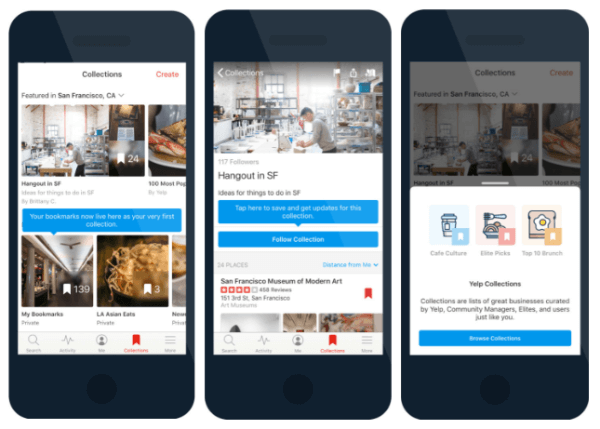 Yelp will also provide curated collections and enable users to create personal collections. 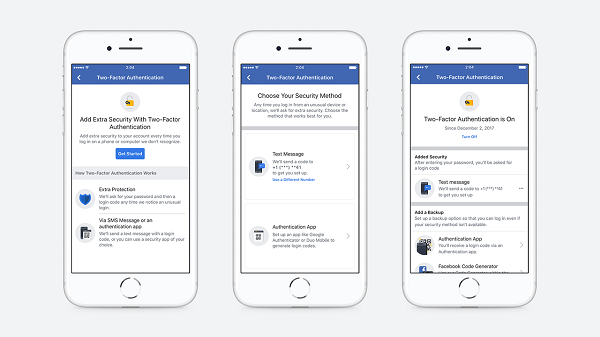 Facebook Two-Factor Authentication No Longer Requires Phone Numbers: Facebook streamlined the setup flow that enables users to establish two-factor authentication and eliminated the need to register a phone number to secure an account. Facebook previously required a phone number to set up two-factor authentication and prevent lock-outs but has redesigned the process to make it easier to use third-party authentication apps such as Google Authenticator and Duo Security on both desktop and mobile. Facebook Asks Users to Clarify Privacy and Data Preferences: After being asked to provide a clearer explanation of what information it collects and how it uses this data, Facebook is popping up news feed alerts that ask users to review their preferences and details around advertising, face recognition, and information they’ve chosen to share in their profile. Facebook previously updated its data policy and made its privacy controls easier to find. These tools were initially required by the European Union in preparation of the General Data Protection Regulation (GDPR) deadline but Facebook expanded them worldwide.